The Ahi Yehuda Club was founded in 1987 by Coach Avi Kaduri in memory of his brother Yehuda Kaduri, who was killed in a terror attack on November 22, 1968 in the Mahane Yehuda market in Jerusalem. Ahi Yehuda Taekwondo Club runs a variety of self-defense and martial arts classes with a staff of professional and experienced coaches in Jerusalem and all over Israel. The club has about 2000 members. Avi Kaduri Master Coach of Ahi Yehuda is 8 Dan Black Belt, international martial arts and Taekwondo coach, and a superior judge in the international Taekwondo competitions. There are also classes for teens at risk, children with special education needs and self defense for the senior citizens. The Ahi Yehuda Taekwondo club has 3 competitive teams with 3 coaches at 3 different locations in Jerusalem. 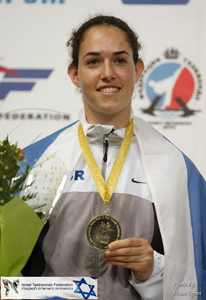 The club has won 21 times first place in the Israeli Taekwondo championship. Students learn how to deal with stress and react in stressful situations. Taekwondo is for boys , girls, men and women from age 3 to 70. Groups are divided according to age and level. A Taekwondo student from the Ahi Yehuda group had saved her life 16 years ago from a terrorist attack, due to the skills she learnt in the classes. Our classes do not train kids to be violent. We teach them to react in a real situation. Along with Bat El , the European champion in Taekwondo in the Beijing Olympics games , there is another student, Noah Shmida, a runner up in the world and European championship for teens in Taekwondo. 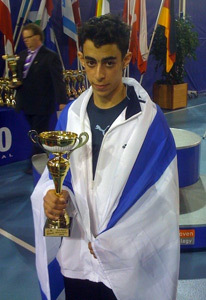 Moti Lugasi came in third place in Taekwondo Europe championship in 2010. 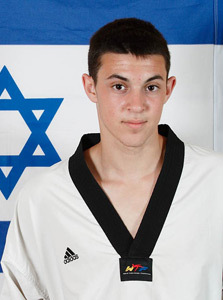 Outstanding athletes in Taekwondo get to train on the National Israeli team. Each athlete has a different reason to continue training in Taekwondo. Check out the link: Why Taekwondo. There's no such thing as too old to start practicing unless there's a medical reason. All athletes 16 years and older who have acquired a red belt, are eligible to become a coach certified by Wingate Institute.